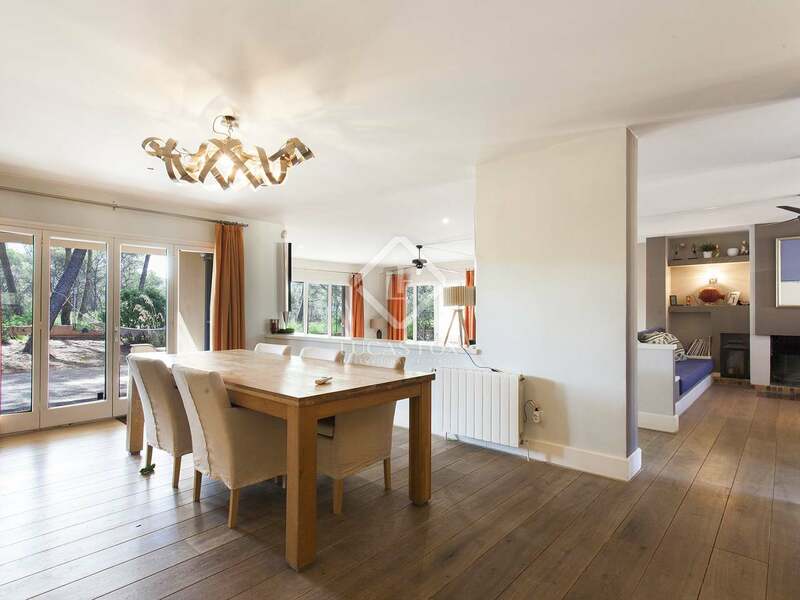 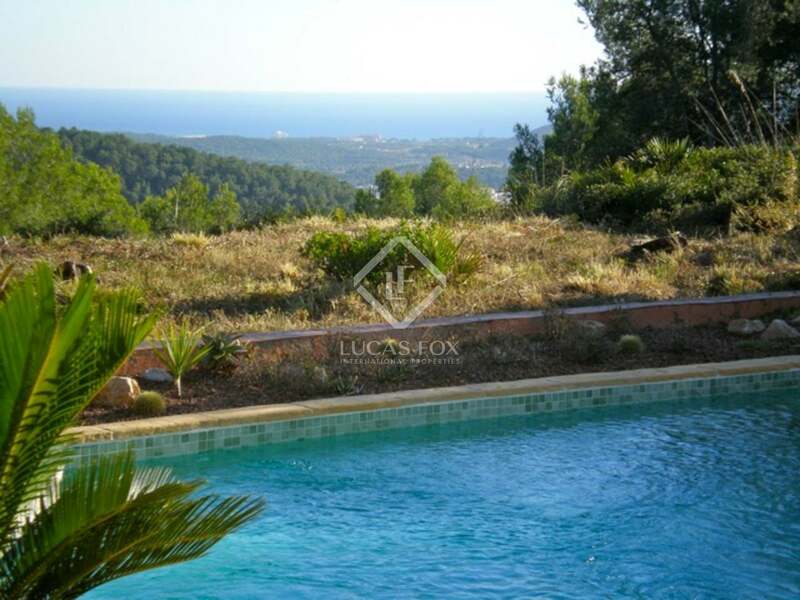 Modern detached 7-bedroom villa with sea views and a separate self-contained guest apartment on a 2,000 m² plot at the top of the Mas Mestre residential area, 10 minutes’ drive from Sitges town and beach. 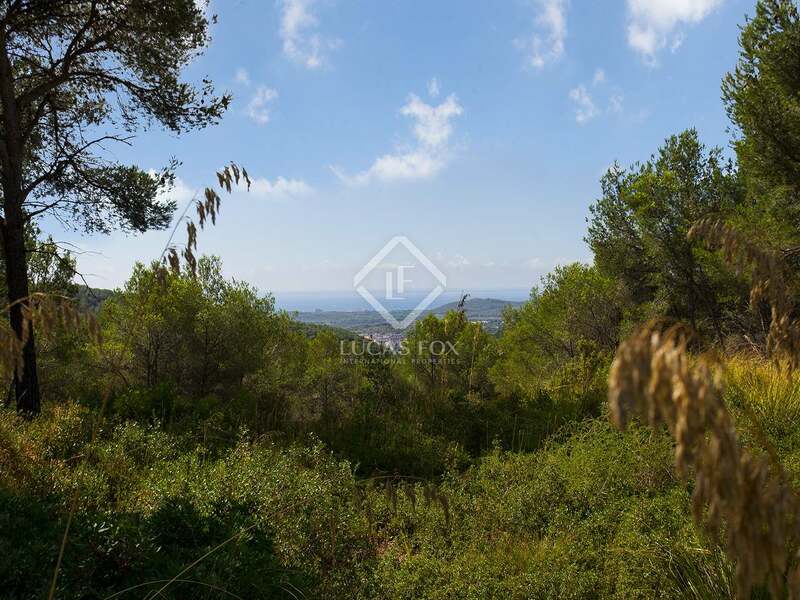 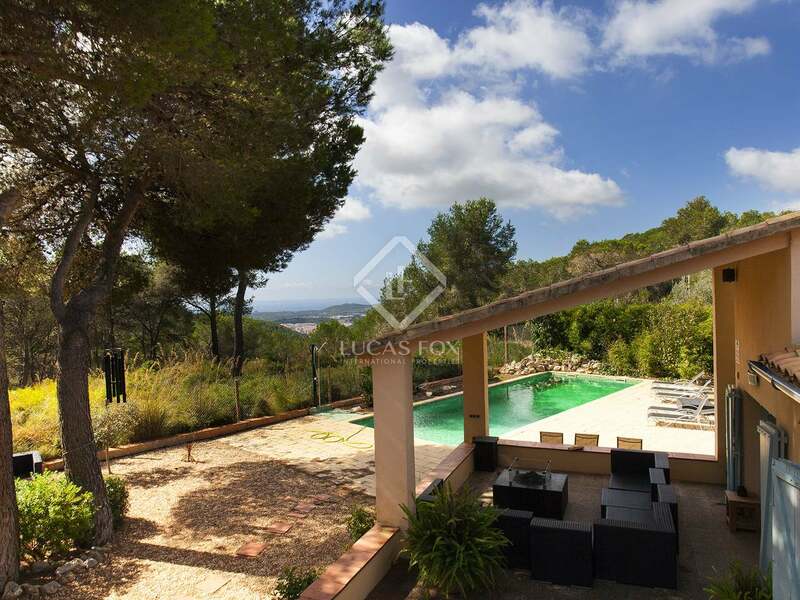 At the top of the Mas Mestre neighbourhood in Olivella, we find this wonderful detached villa on a generous level plot of over 2,000 m²; one of the few plots in this area to enjoy sea views, surrounded by the lovely Grarraf Natural Park. 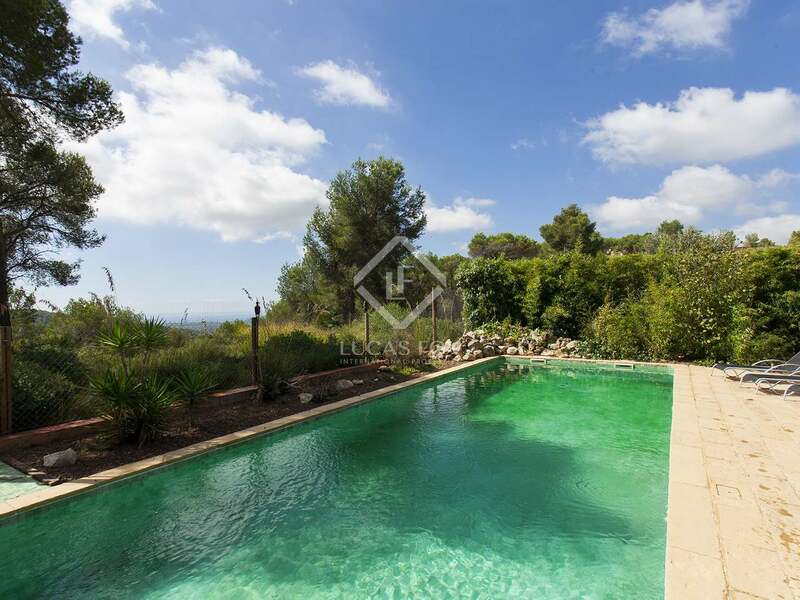 The large, very private garden surrounding the property features a large 12x4.5 metre pool, covered terraces and chill out areas. 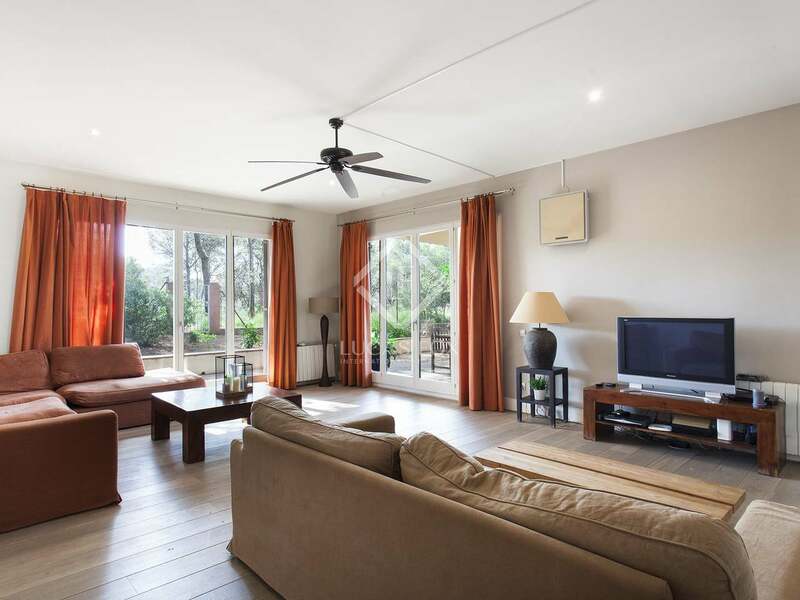 Built in 1980 and renovated over the last 10 years, the villa is entered on the ground floor via a main door with a double height entrance hall, opening up to the large fitted kitchen and dining area; both of which open onto the garden. 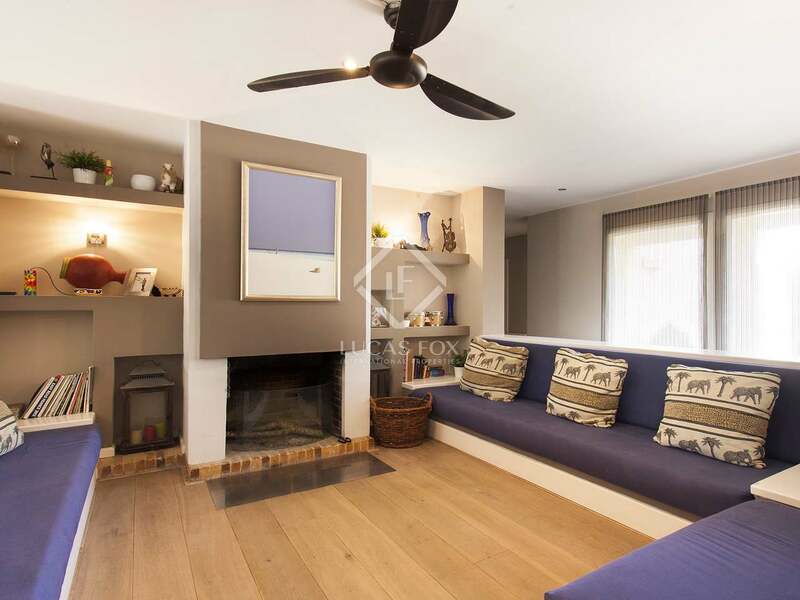 Moving on we find the split level living space with views of the garden and pool and a separate cosy corner with a fireplace. 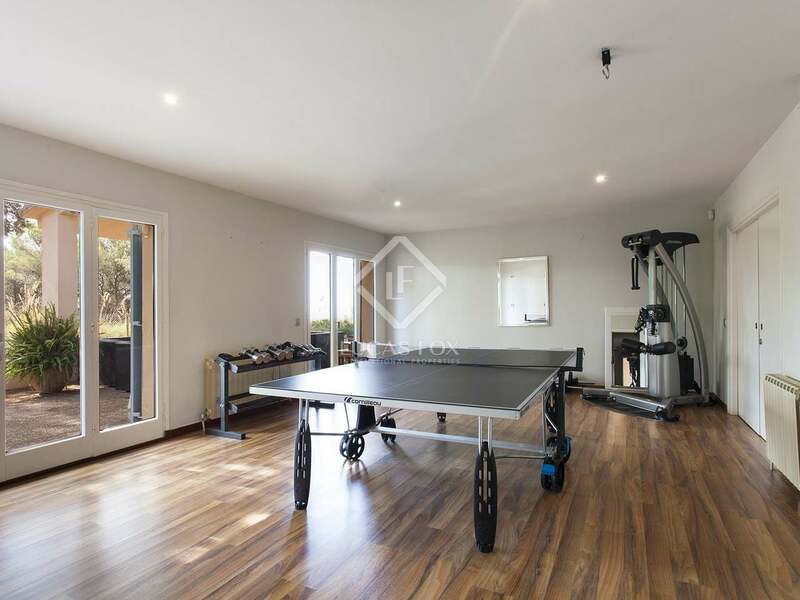 Down the hallway is a bedroom with a bathroom, 2 other double bedrooms with en-suite bathrooms, a large gym with a terrace and porch opening onto the garden and pool. 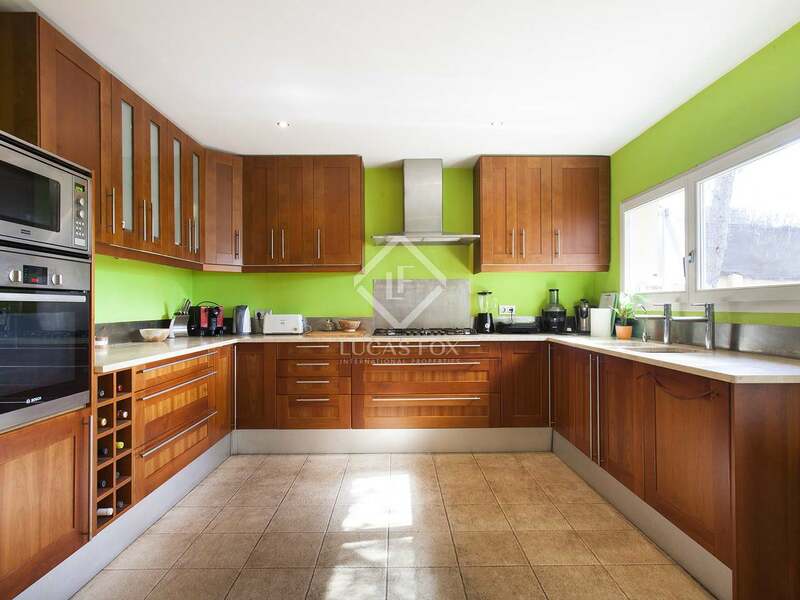 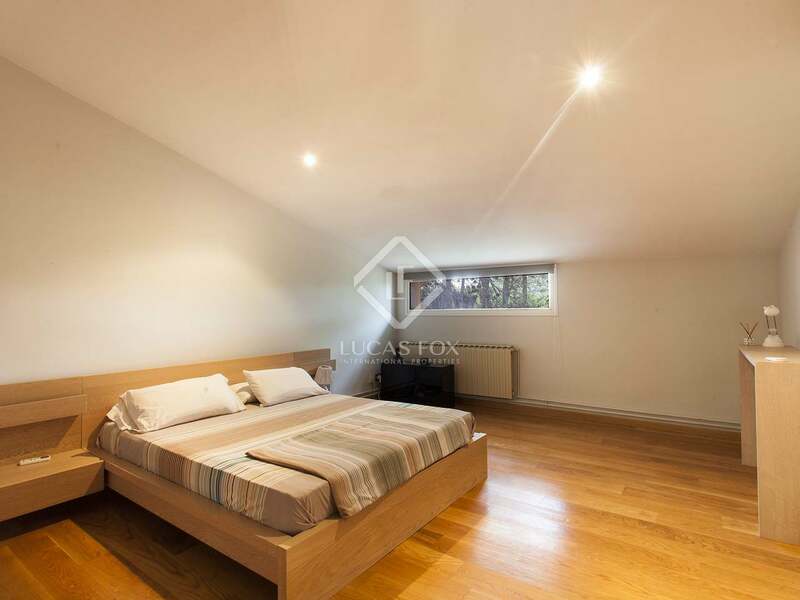 Also on this level is a fantastic self-contained apartment with its own separate entrance; ideal for accommodating guests, live-in staff or an elderly family member for example. 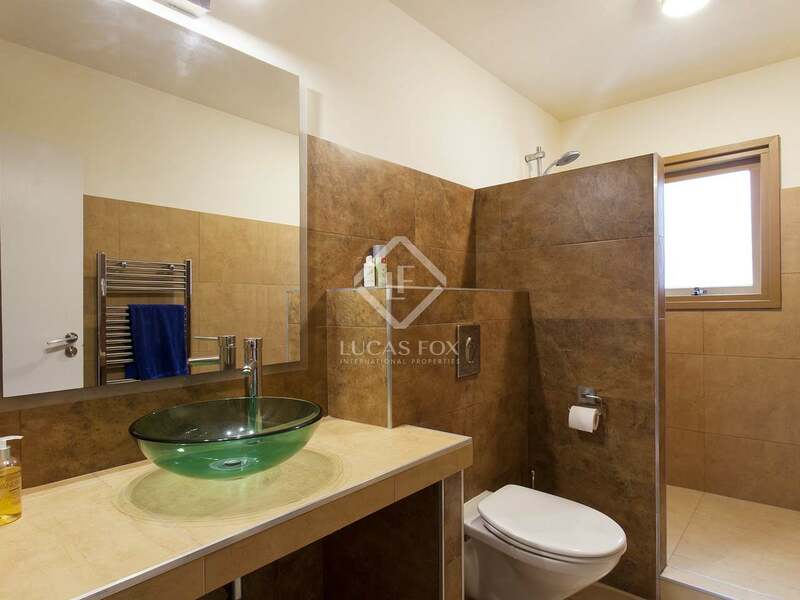 The first floor offers 2 large double bedrooms with a shared bathroom and the master suite with built-in wardrobe and bathroom with a fabulous jacuzzi with views out to sea. 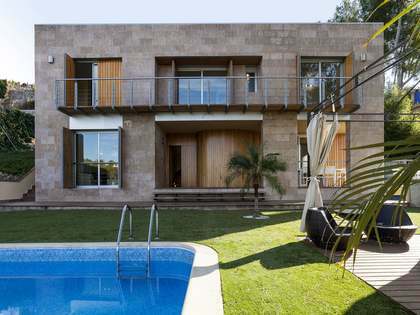 The property has an eco-friendly heating system using biomass pellets. 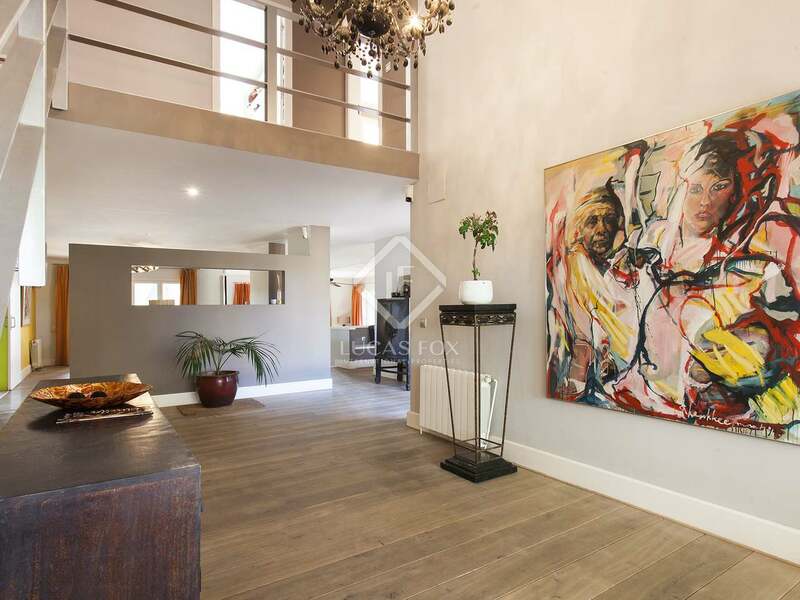 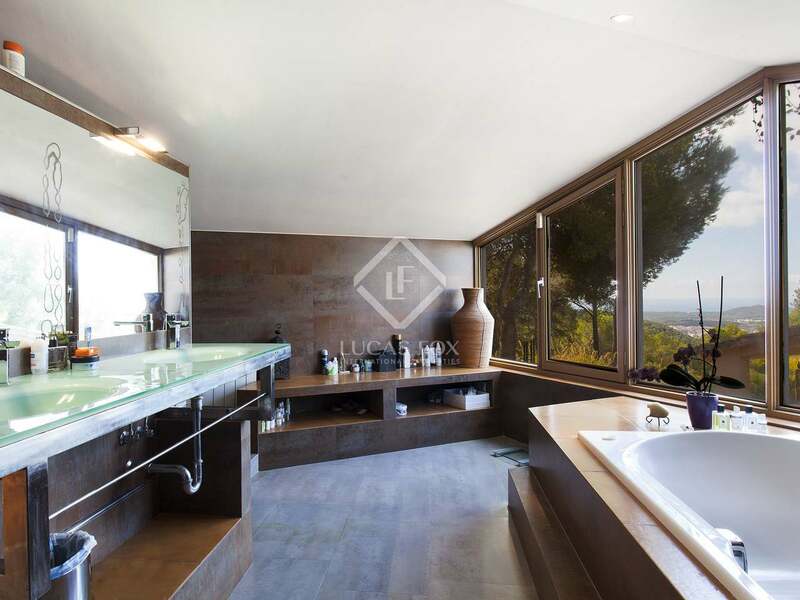 The lower ground floor is occupied by a garage of 75 m² for up to 4 cars, a wine cellar and a laundry room. 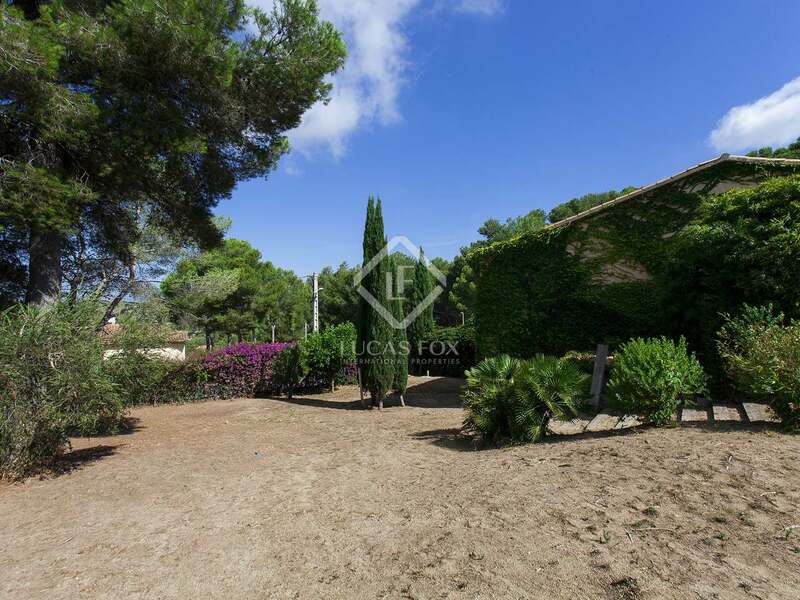 Should the owners require more living space, it is possible to extend the property up to a total of 900 m². 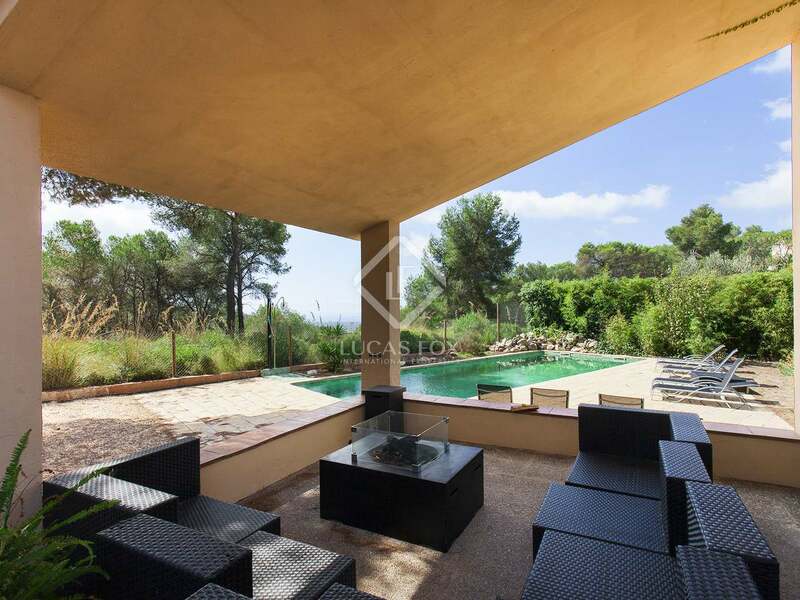 The greenery of the surroundings provides complete peace, tranquillity and privacy in this fantastic modern home near Sitges. Ideal as a family home and an excellent investment for holiday rentals. 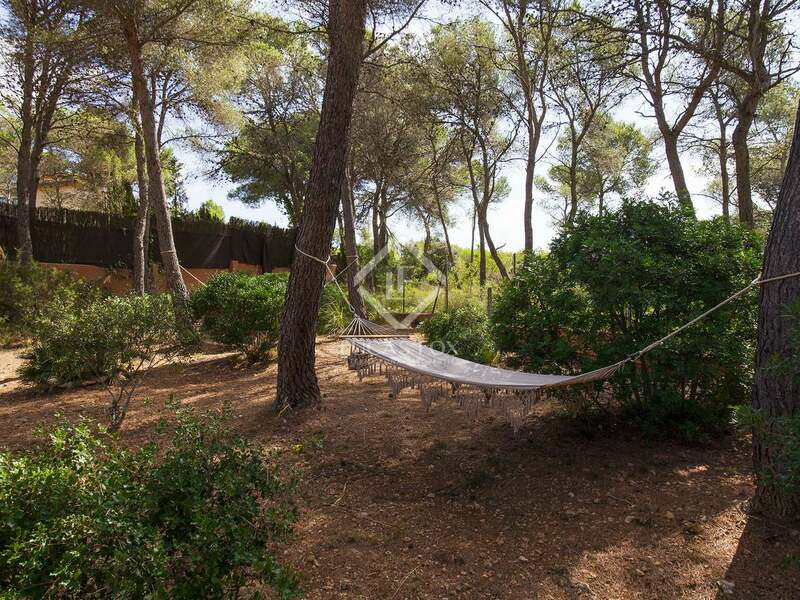 Located on the hillside of Mas Mestre, in Olivella, overlooking hills and woodland towards the sea and Sitges. 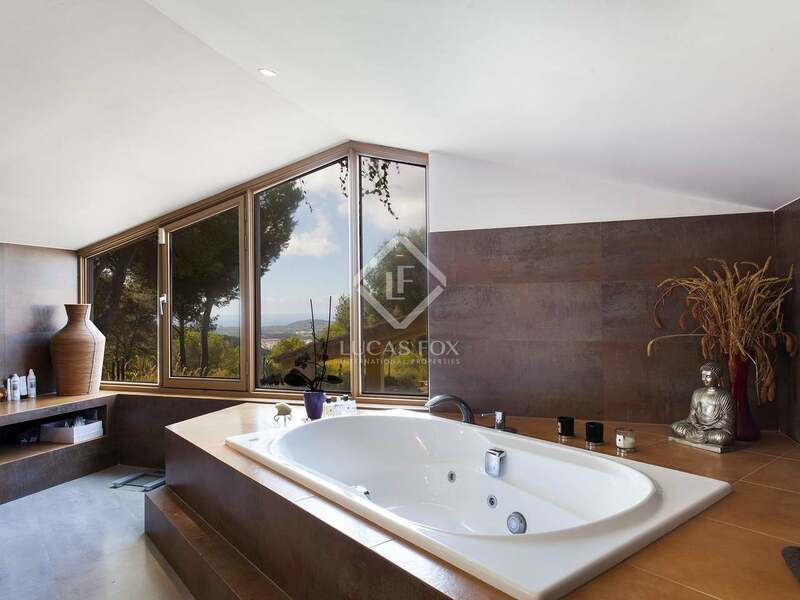 It is a 5-minute drive to Sant Pere, 10 minutes' drive to Sitges town and the beach.